Personal or Business Space Clearings. The hara line is a dimension deeper than that of the chakras. 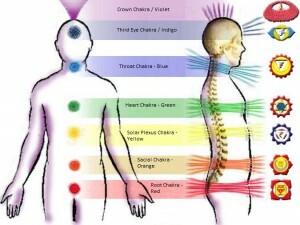 It is the axle of the wheels of life (chakras) which is of vital importance when it comes to inner balance. Tan Tien or the true center is situated on this line. At times we can feel we are not connected to spirit or ourselves and this may be from a disturbance or kink on this line. My experience over the years has shown me the impact this line has on our spiritual vitality. Over time l have been able to work directly with this aspect of life and understand it’s importance in how l personally respond to daily life. To keep the line in good order is to have order in one’s own life. The human body is a resonating system of solid and subtle energy bodies. The Chakras are the be st known ways to describe the subtle bodies as documented for thousands of years.There are 7 chakras, or levels in our bodies that relate to our mental, emotional and physical state. Sometimes when we are overwhelmed energetically we get stuck. Or sometimes when we deal with overwhelming situations we feel drained or heavy. By bringing the subtle energy back into good order with energy balancing or what is also referred to as chakra balancing a change takes place that gives a breathing space of sorts where it is then possible to cope with life situations or problems in a calming way. These sessions are available for anyone who is depressed or “not in a good place” in life and they help those who are seeking a breakthrough in personal development or evolution. Utilizing traditional techniques of wellness learned from different teachers immediate change and an easing of the difficult times in life manifest. There are always options available to bring change to our lives. Alternative ways that help keep life from being overwhelming and that can bring stability, peace and a real support for personal growth. Being open and attentive is more effective than being judgemental. This is because people tend naturally to be good and truthful when they are being received in a good and truthful manner.